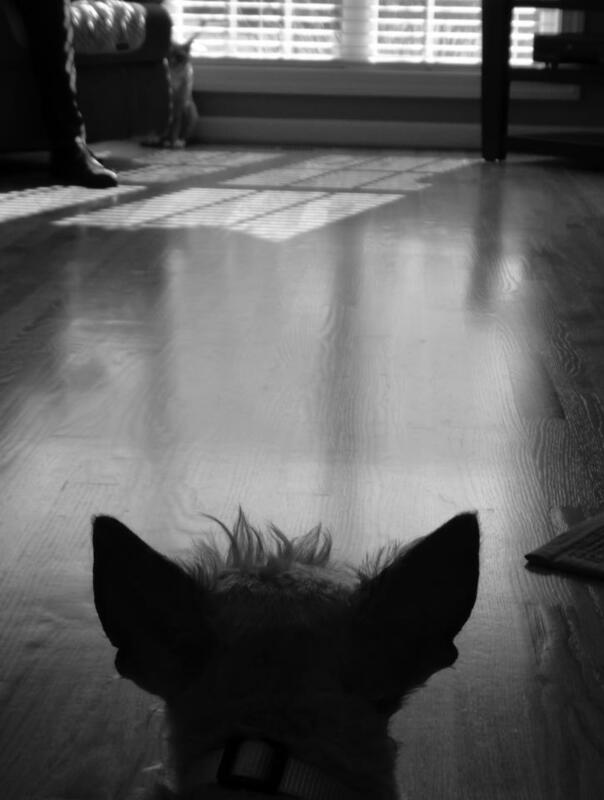 It's a Scottish Terrier standoff this Wordless Wednesday. A classic tale of the battle between good and evil. An evil C-A-T was spotted spying on Heather and Mr. K from just across the room. Now, the C-A-T and the Scots are engaging in some sort of never-ending staring (or glaring) contest. Lucky for the C-A-T, the Scots appear to be on leash. But will the C-A-T's evil ways provoke the Scots into action? Only time will tell...Hold onto your tails, furry friends! This one's bound to be good. LOL, I hope they don't get hurt. I know the Scots will win!!! 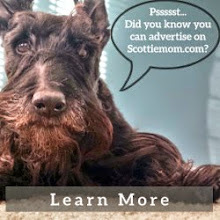 We terriers of Scottish descent are tough as nails! I don't mind cats-you just have to train them right. Then they'll hop up on the kitchen counter and knock food down to the floor for you. Cats can be very useful. I hope it all turns out well. I get on very well with my cats, but they're sweet - for cats! LET GO OF THE LEASH!!! We are happy to have found you and are now following! 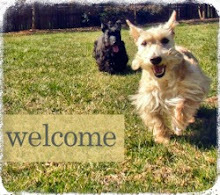 Very cute photo --- happy BlogPaws Wordless Wednesday - hope to see you in May at the conference. Hey There, I love this photo...I've been checking your facebook and liking the post there too! Bad about keeping up with emails. You have beautiful babies!